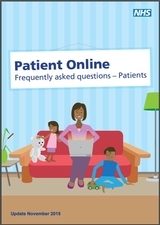 If you would like to register for SystmOnline, or if you are already registered for SystmOnline, and would like to have more detailed access to your medical records, please come into the surgery with a form of photo ID (for example, passport, driving licence, student ID, bus pass, blue badge, photo ID from work etc). When you speak to reception, they will give you 3 documents - a patient guide to SystmOnline, a questionnaire, and an application form. You must read the guide carefully, and then complete the questionnaire. If after considering this information, you would still like to have access to your medical records online, fill out the application form also. 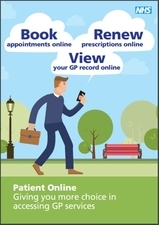 Be careful that nobody can see your records on screen when you are using Patient Online and be especially careful if you use a public computer to log out of SystmOnline, shut down the browser, and switch off the computer after you have finished.